The Herbarium of the University of Coimbra (COI) is a source of information for the national and international botanical community. Herbarium specimens and their labels are both the source of information for taxonomic work and the evidence that remains after such work is published (voucher specimens). 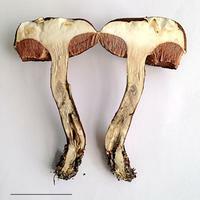 Storing specimens permanently and making them accessible to taxonomists, the primary users, and to other users, under the general regulations on property rights, are the main objectives of curation. COI is well aware of the present-day demands for fast access to specimens and the information they contain; also of the Portuguese commitment to data repatriation. For that, a firm policy has been developed to database the specimens, and make this data available for free on the web. Image capture of herbarium specimens at COI uses either HERBSCAN, with an inverted scanner or Digital camera in a light tent. In both cases the specimens are digitized with the (i) specimen barcode, (ii) measurement scale, (iii) Colour & Gray Scale Targets. The image file names are the barcode(s) of the specimen(s). COI has a large number of specimens of the Portuguese flora, the result of many decades of expeditions organised by the herbarium and the collaboration of the members of the botanical society, the Sociedade Broteriana. The last of generations of collectors at the herbarium (Arménio Matos) has recently joint the staff. In 2015, the 135th anniversary of the herbarium, the field trips were resumed after three decades of interruption. The objective is to collect species poorly represented or not represented at all in the collection. This is a seed collection mainly of the Portuguese native flora kept at room temperature in glass tubes with cork tops, regularly fumigated and frozen. It was initiated with 2.552 species/tubes all identified by Luís Cabral in the 1960s to aid plant identification. The collection has been expanded to include seeds collected by Arménio Matos: c. 1.460 accessions collected in 2013 for the last Index Seminum published by the Coimbra Botanic Garden, and 2.500-2.800 accession assembled over the years for identification purposes. After the São Tomé e Príncipe project, mosses, liverworts and hornworts were kept separate and the gift from LISU from this area has arrived, corresponding to c. 25 % of the total. This is being done in collaboration with Dr Cecília Sérgio, briologist at LISU and Centre for Environmental Biology, Faculty of Sciences of Lisbon University. 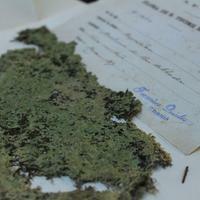 The 1.812 specimens of Portuguese macroalgae of MACOI and their database are being added to the existing collection. The whole material is being re-organised. This is being done in collaboration with Prof. Dr Leonel Pereira, specialist in macroalgae of the Department of Life Sciences, University of Coimbra. C. 200 specimens of Portuguese macrofungi recently collected by José Miguel Pereira are being added to the existing collection. This is being done in collaboration with Prof. Dr Teresa Gonçalves, specialist in fungi of the Department of Life Sciences, University of Coimbra. The backlog for mounting is of c. 11.000 specimens. The problem is now being addressed with a new member of staff. 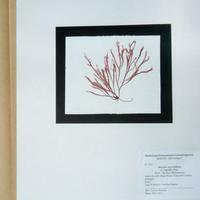 Procedures for both mounting and conservation follow a number of the practices developed by the herbarium of the Royal Botanic Garden Edinburgh (E). The Portuguese collection is being restored. Due to an interruption on the fumigation procedures in the 1970-80s some material was contaminated by beetle. Also some mounting support did not withstand well the passing of time and manipulation. For decades the pest control used carbon disulphide. After two decades of interruption because of its declared toxicity, new procedures were implemented. All materials go through cold treatment before entering the herbarium. Cold treatment: two periods of 48 hrs at -180C, being let thaw for 24 hrs in between. The specimens are placed in thick plastic bags, well-sealed. An ordinary freezer is used. Every c. two years there is a chemical fumigation in each one of the two floors of the herbarium.